A Classic Trick With A Vanishing Twist. 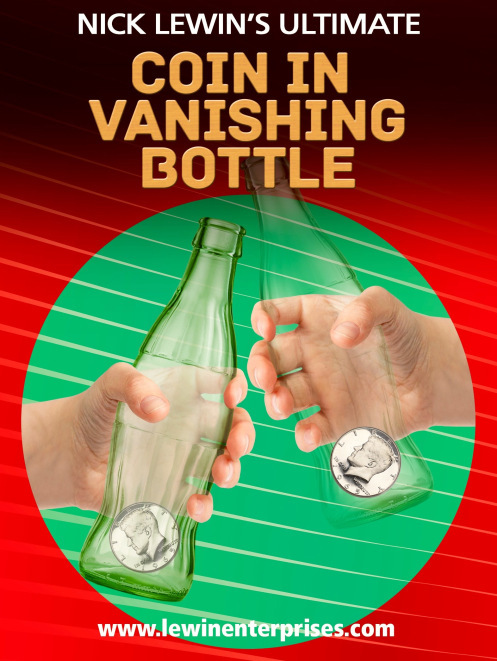 The Ultimate Coin in Vanishing Bottle has been a signature effect and secret weapon in Nick Lewin’s professional show for several decades. 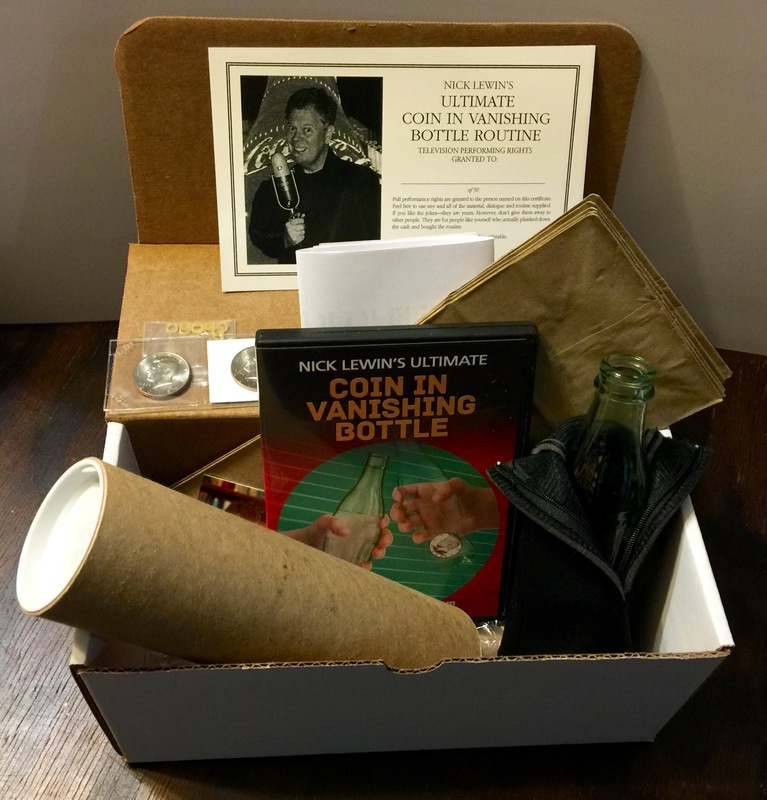 In this show stopping routine Nick manipulates sight, sound and audience response to create the ultimate version of this venerable classic. This initial release is limited to 50 sets that contain everything needed to present this effect exactly as Nick performs it. The limited edition includes a special certificate that grants full television performance rights to the purchaser. These rights are non transferable. This routine is perfect for a stunning TV set. This DVD is a virtual master class in performing. 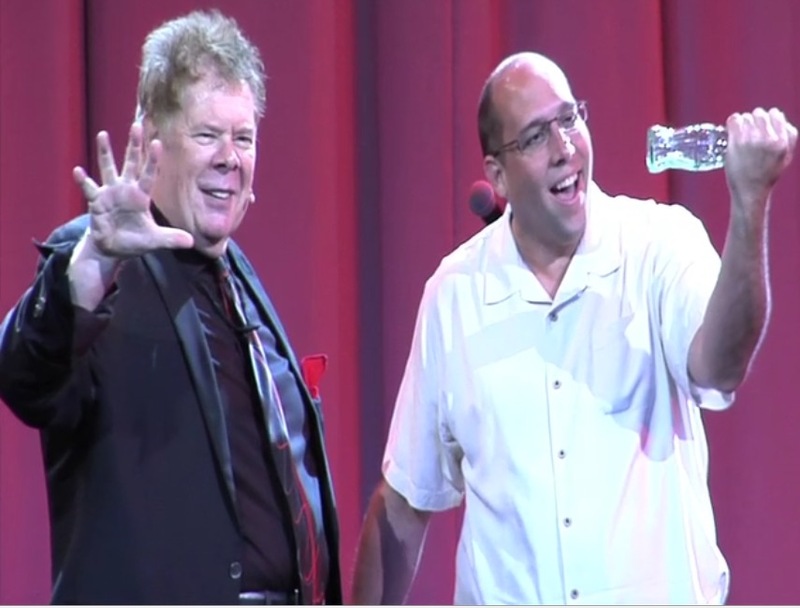 Every detail needed to master this effect is explained in detail making it “performance ready” for any magician. The DVD contains two separate segments of performance footage. This footage will NOT be made available on this website or any social media out of fairness to our purchasers.